Finally got some time to test these loudspeakers, albeit in a different location to where I ultimately plan to deploy them in EPC1 (my studio and workshop). What they look like with the front covers off. 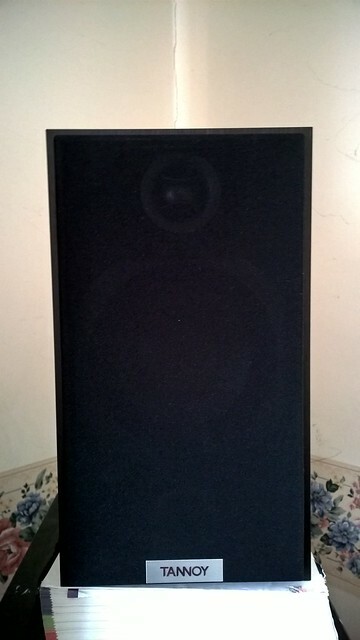 As I am still tidying up EPC1 (my workshop and studio) I tested them in my bedroom, in roughly the same position the Wharfedale Diamonds are situated. I connected them to my Sony AV receiver (made in Malaysia in 2009 – more an “Aiwa” in a less brash case. I used the output of my laptop and a Raspberry PI B connected to a cheap C-media USB soundcard (better than the internal soundcard which is noisy and a bit “flat” sounding). This room is smaller, my previous experience of Tannoy LS units (there are some at ICR-FM studios used as studio monitors) is that they need room; otherwise they sound “muddy!” The good news is these ones do not suffer from this flaw – I tested them with everything from German Christian folk music and speech content from Radio Maria Nederland to 80s synthpop and hard techno! The Tannoys are way more directional and need to be positioned well – this could be an advantage in EPC1 as it will reduce noise nuisance to outside. 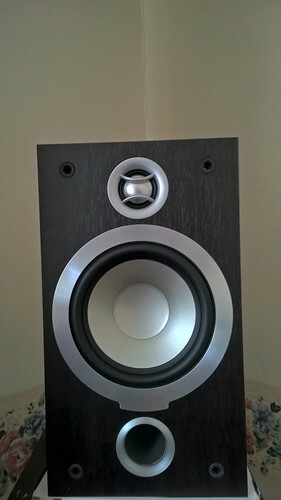 So everything works out just right as I intend to use the Wharfedales for general listening [as an upgrade to “Japan” midi system (again made in Malaysia!) 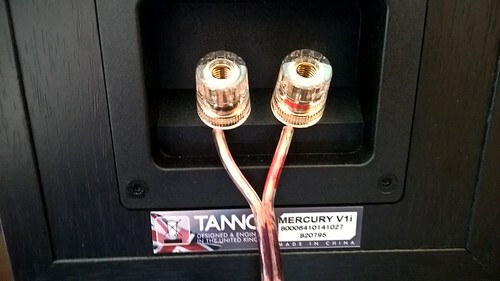 and the Tannoys as monitors for DJ mixing and studio production.